Beautiful country house located 5 km from the town. It is a private and quiet space for rest. A unique place and close to all the attractions that Villa de Leyva offers. Villa Juliet is a beautiful country house, 5 km outside of town. It is very private and quiet, perfect for relaxing. This is a unique spot, close to all the attractions that Villa de Leyva has to offer. The most beautiful thing about this house is that it is surrounded by nature and enjoys a view of the mountains. Only 10 minutes from the town by car. 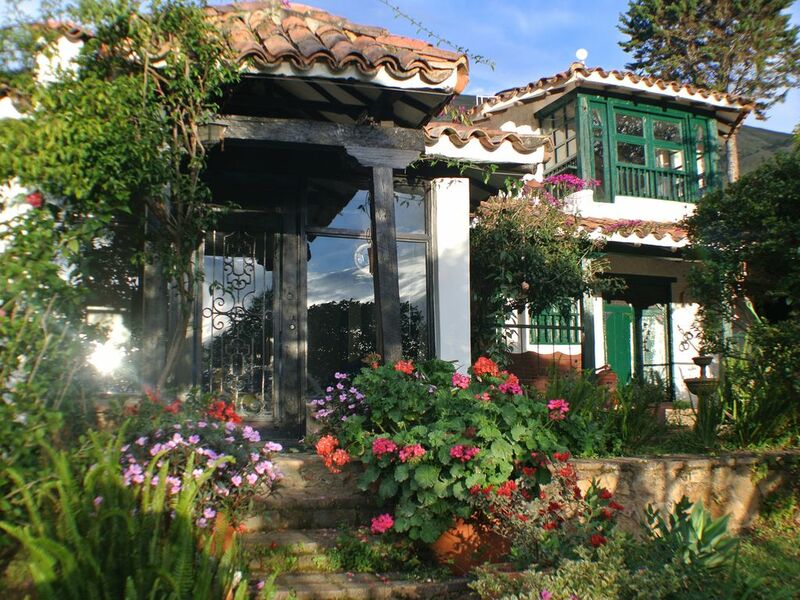 It is in Roble Alto, one of the most beautiful paths of Villa de Leyva. The most wonderful thing about this house is that it is surrounded by nature and spectacular views of the mountains and valley. It is only 10 minutes in car to the square, in Oak High, one of the prettiest zones of Villa de Leyva. It has a natural pool, jacuzzi, Turkish bath, sauna, barbecue area, and two rooms, each with its fireplace. Have you got Wi-Fi. The house is equipped with a natural swimming pool, jacuzzi, turkish steam bath, sauna, barbeque zone, and two living rooms, each with a fireplace. The house has WIFI.